Enjoy an authentic dining experience in the comfort of your own home. 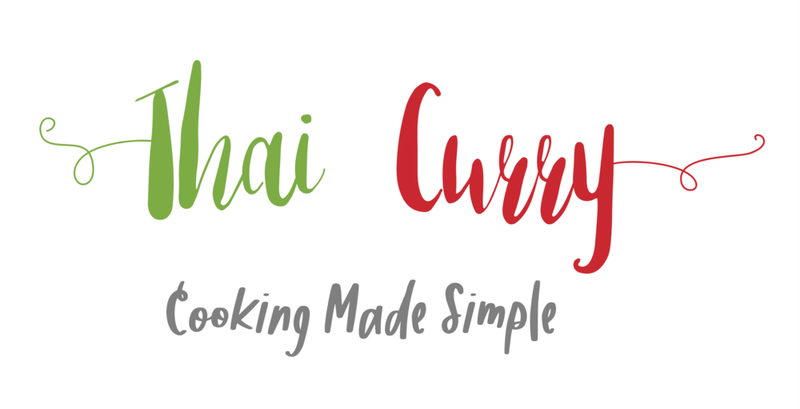 Curry is one of Thai cuisine's best known dishes. Despite its complex flavors, it is actually quite easy to make at home! We have simplified these recipes with ingredients you can easily find all year round in the U.S. (most of the ingredients are available at Pantry+ market). When available, consider using Thai herbs to enhance both flavor and aroma. 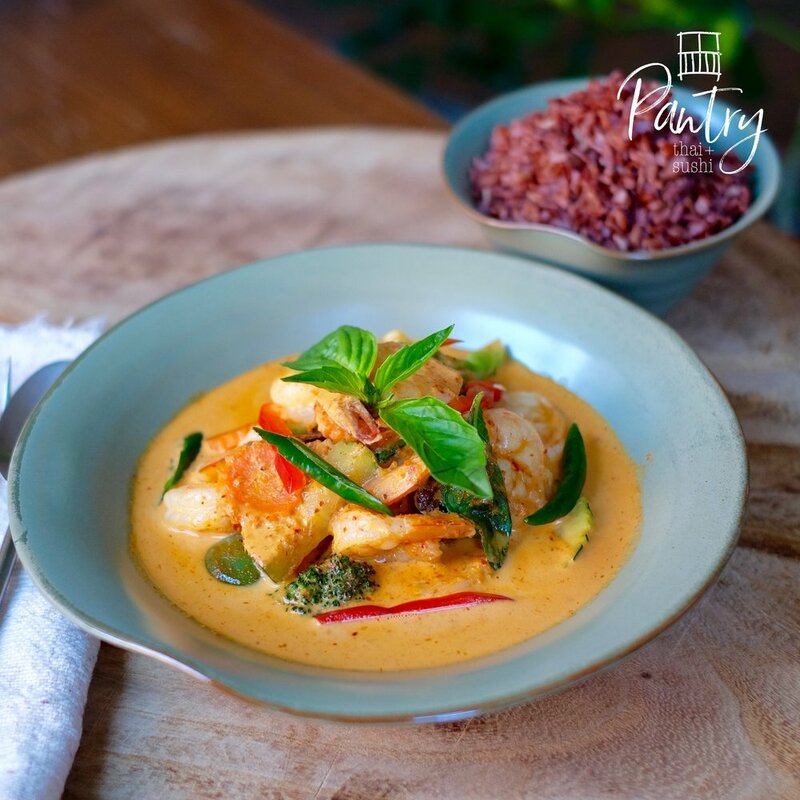 Follow these 3 easy steps and enjoy your home cooked Thai Curry: Red, Green and Panang. 1. PREP - make sure you have all the ingredients needed in the recipe. Slice the meat of you choice (CHICKEN, PORK or BEEF) or peel the SHRIMP. Cut the vegetables. 2. COOK - heat the pot, add the ingredients one at a time. 3. FLAVOR TO TASTE - season with fish sauce and palm sugar per your liking. • Stir red curry paste with 5 tsp. of vegetable oil on medium heat until it starts bubbling to release the aroma. • Turn the stove up to high heat and add meat. Continue to stir until meat is halfway cooked. • Add coconut milk and stir the meat until cooked. • Add vegetables of your choice (Thai eggplant, carrot, cabbage, broccoli, zucchini, pumpkin or mixed vegetables). • To round out the flavor, add fish sauce and palm sugar once the vegetables are cooked. (Add Thai basil into the curry when finished cooking for aroma and flavor. Add chili peppers if you like it spicier or add 1/4 cup of water to reduce spice level. You may also add more fish sauce or palm sugar to enhance the taste. Garnish with Thai basil and chili peppers, and serve with steamed Thai jasmine rice or pasta). • Stir green curry paste with 5 tsp. of vegetable oil on medium heat until it starts bubbling to release the aroma. • Stir panang curry paste with 5 tsp. of vegetable oil on medium heat until it starts bubbling to release the aroma. • Turn the stove up to high heat and add meat. Continue to stir until the meat is halfway cooked. • To round out the flavor, add fish sauce and palm sugar. (Add kaffir lime leaves when finished cooking for aroma and flavor if available. Add chili peppers if you like it spicier or add 1/4 cup of water to reduce the spice level. You may also add more fish sauce or palm sugar to enhance the taste. Garnish with kaffir lime leaves and chili peppers, and serve with steamed Thai jasmine rice).